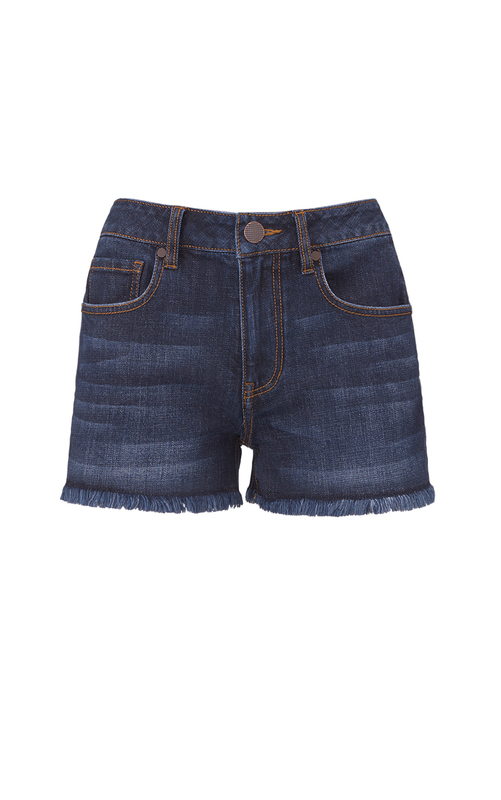 The Tuxedo Tomboy Short comes in a medium wash with five-pocket styling, a classic rise, and a slouchy fit. The reverse side of the denim is used to create alternative detailing on the sides and back pocket. 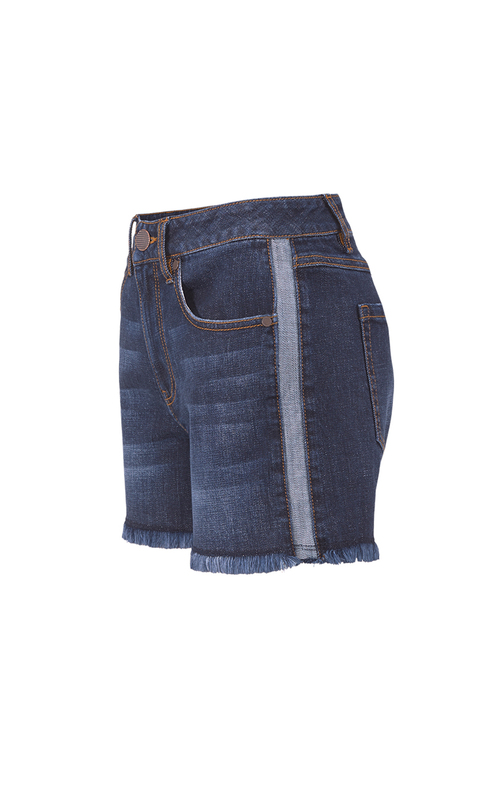 With subtle whiskered detailing and a frayed hem, these shorts will be your go-to bottom all summer long. Loving the Tuxedo Tomboy Short? Share how you’re wearing it on Instagram, and browse through all the inspired ensembles for fresh ideas.